Does anyone remember the great orchestra of Russ Morgan? 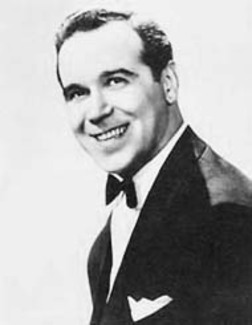 In 1935, Russ Morgan formed what became a legendary dance band, with hits including So Tired, Cruising Down the River, Somebody Else Is Taking My Place, Forever and Ever, and his theme song, Does Your Beat for Me?. After Russ passed away in 1969, one of his sons, Jack, took over the leadership of his dad's famed orchestra and has since kept his father's musical legacy going for more than 40 years. However, Jack has decided to call its quits with a "last hurrah" tour and retire at the end of 2010. That means that during the 75 years that The Russ Morgan Orchestra has been in existence, there's been only two leaders: Russ and Jack. No other big band can make that claim!